Articles with keyword "monuments of Lublin"
Existence of a medieval gród (a wooden fortified settlement typical for Slavonic nations) named Lublin at the turn of the 12th century was proved, among others, by the discovery of remnants of the city’s former fortifications. It is not known precisely, since when had the wooden settlement been existing. It might have developed around a wooden watchtower, constructed on nowadays’ castle hill - as tradition has it - already in the times of Bolesław I Chrobry’s reign. It is possible that a brick church was located within the 12th-century settlement. 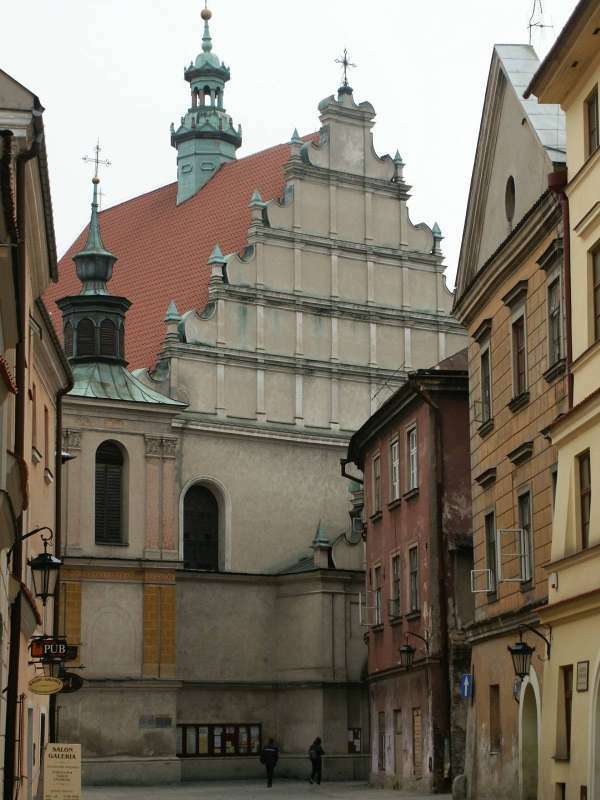 The favourite and privileged temple, in the walls of which, at whose altars, paintings and in sacred vessels [...] Lublin had been offering, throughout generations and centuries, tokens of its religiosity, was the church of St. Michael Archangel, a parish church at first, then a collegiate, commonly called the old parish church, existing on Grodzka Street until 1854. The Church of st. Michael the Archangel was the most important temples of Lublin, and its history was inseparably connected with the history of this city. Today it is an invisible church, about which Józef Czechowicz once wrote: "On a green square the stars shine through the gothic ribs of the church made of air". Hardly any remnants of the Jewish quarter, once situated around the castle, have been preserved. 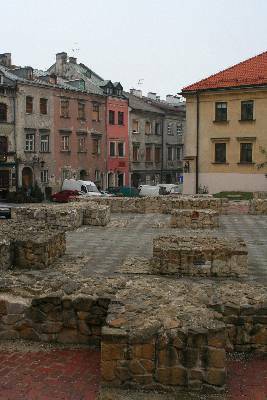 Beginnings of Jewish settlement in Lublin date back to the 15th century. The first buildings were constructed in the closest vicinity of the castle hill. Those were low wooden buildings. Gradual sprawling of the Podzamcze district, frequent fires and damage caused by wars and raids prompted intense construction activity in that area. The Holy Trinity Chapel, adjacent to the Lublin Castle, is one of the finest examples of Medieval art in Poland. Its Gothic architecture, combined with Byzantine-Ruthenian polychromes, makes up a unique synthesis of Eastern and Western cultures. Heading from Krakowskie Przedmieście Street towards the Old Town, one notices the silhouette of the Kraków Gate (Pol. Brama Krakowska) from far away. History of this brick building reaches back to the 14th century. After the minacious Tatar raid of 1341, it was decided that the city would be surrounded with fortified walls and gates. 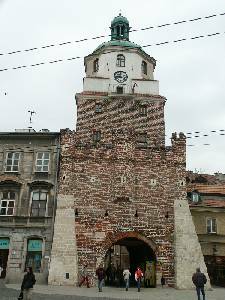 The Kraków Gate, which was named after the route and the suburb towards which it led, is one of those gates. The Dominican church and the monastery were erected in the southern part of the Old Town Hill (wzgórze staromiejskie), on a small elevation, the so-called Dominican Hillock (górka dominikańska). The monastery’s history is related to the relics of The True Cross that were kept there until 1991. History of the Dominican church and the monastery relates to the relics of the True Cross, kept there for several ages. According to Jan Długosz, they were brought to Lublin in 1333, while another account states that it happened after 1400. New chapels were being constructed at the church one after another in order to store the relics. Standing in the middle of the market square is the edifice of the Crown Tribunal, which replaced the wooden town hall that had burned down in 1389. It is certain that a brick building existed in this place already in the 15th century, as preserved documents regarding meetings of the City Council taking place there attest, among other evidence. Initially, the building performed function of the town hall, where all the judicial and administrative authority was concentrated. Since 1578 it was the seat of the Crown Tribunal - the highest judicial authority for the nobility of Lesser Poland province. 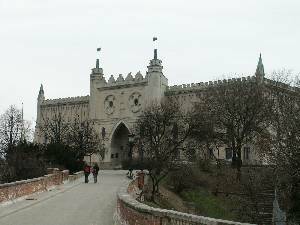 Today it houses the Wedding Palace and - in its lowermost section - a tourist route - The Lublin Underground Route. Memorial to the Extermination of the Jewish Population on the square at the intersection of Radziwiłłowska and Niecała streets. Yeshiva - Chachmei Lublin Yeshiva (Jeszywas Chachmej Lublin) was a Talmudical (Rabbinical) Academy. 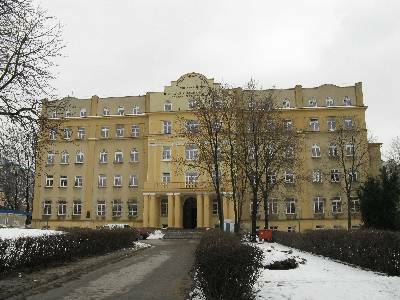 The building of yeshiva was designed by Agenor Smoluchowski in 1924. It was adapted to fulfill the role of yeshiva in 1928.